Today, I have another bag to show you- it seems that my once non-existant collection has grown recently! This time it is from Brand Village, a website that stocks handbags, purses and travel bags from brands such as LYDC, Anna Smith, DSUK and Gessy. 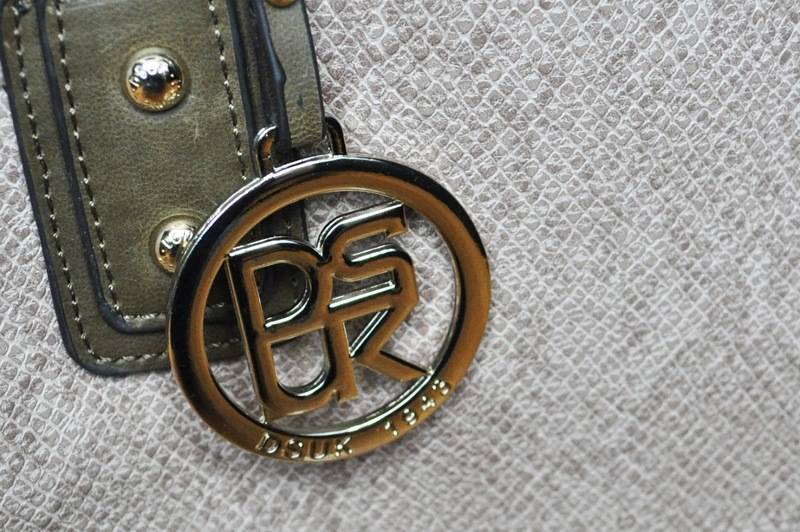 The bag I have is the DSUK Light Taupe Snake Print Tote Bag* (£45). In honesty, I have never really been one for snake print; I think it can often look quite tacky. 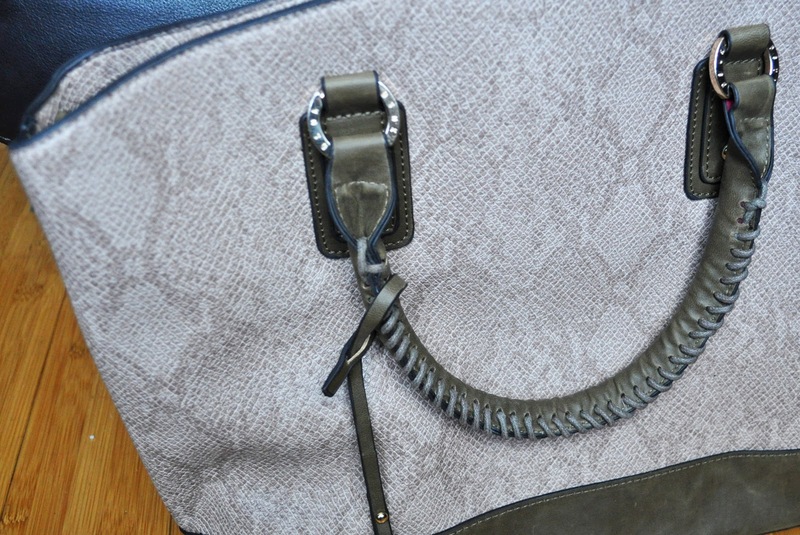 However, I find that the mild taupe colour of this bag tones it down a little bit. It is the perfect size for carrying around on a day-to-day basis and has the usual side pockets on the inside for keeping your phone and keys safe. 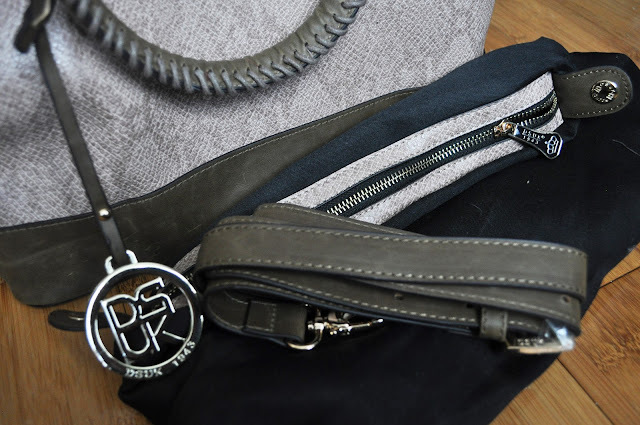 One thing that often bugs me about bags is that a lot of them have magnetic closures or pop fasteners instead of zips, so I am constantly worrying about the safety of my purse and other belongings. However, this bag comes with a detachable zip-fastened divider which I like to keep inside to keep my valuables secure. There is also a longer strap included in case you prefer to wear your bag on your shoulder, which is always handy! 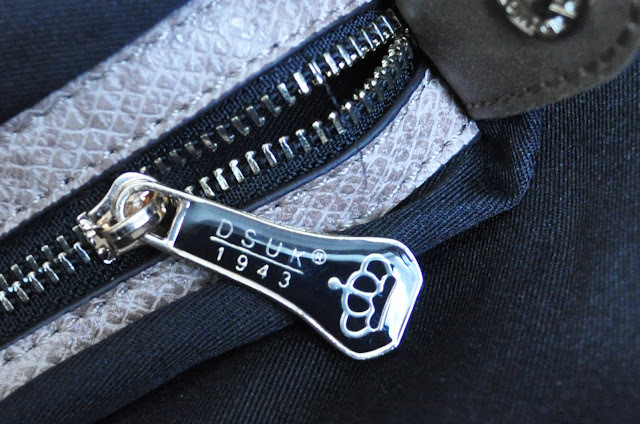 Two very tiny issues I have with this bag is that the DSUK charm on the handle cannot be detached, and also the suedette colour block strip on the bottom of the bag gets scratched and scuffed quite easily. Apart from these minor aesthetic defects, it seems like a very practical and good quality bag. Do you own anything from Brand Village?